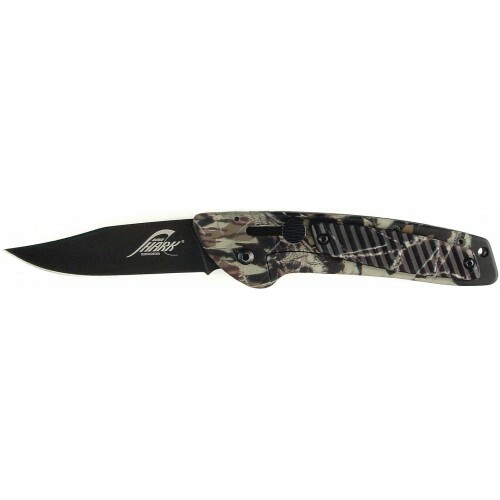 RUKO® SHARK® Lever Action opening system knife for rapid one-handed blade deployment with a frame lock design, 420A stainless steel frame and components; Frame and handle scale come in WX-3D™ Camouflage Pattern. Features 440A stainless steel oxide finish drop point 3” blade and low-profile pocket clip for easy carry. Closed Length: 4-5/8"